There are many scary things in the digital jungle to compete with if you’re a small company with a modest marketing budget. Not utilizing mass distribution of content is like bringing a knife to a gun fight. Your target clients are bombarded daily with an assortment of marketing tactics that incorporate mass volume distribution of content making it almost impossible for you to be anything other than the next meal in the digital marketing age. How many points of contact are you making a day? A single line autodialer can make 840 calls in 12 hours. Email marketing requires substantial volume to reach a reasonable engagement goal and often results in a significant damaged brand impact. Good news is a majority of those emails simply go to spam filters never to be seen by their intended recipients. Unfortunately, a large portion that are seen end up marked as spam. Email is only a strategy if you don’t care about client retention and simple want a low-cost marketing delivery medium that plays on the numbers. For about every 10,000 emails you can expect about 3 clicks. Email comes with a major risk resulting in potential legal trouble. The CAN-SPAM Act sets forth strict guidelines that companies must meet in order to use email marketing. Violations of the act can cost up to $16,000, and each state has its own guidelines on the enforcement of judgments making business owners themselves personally liable. 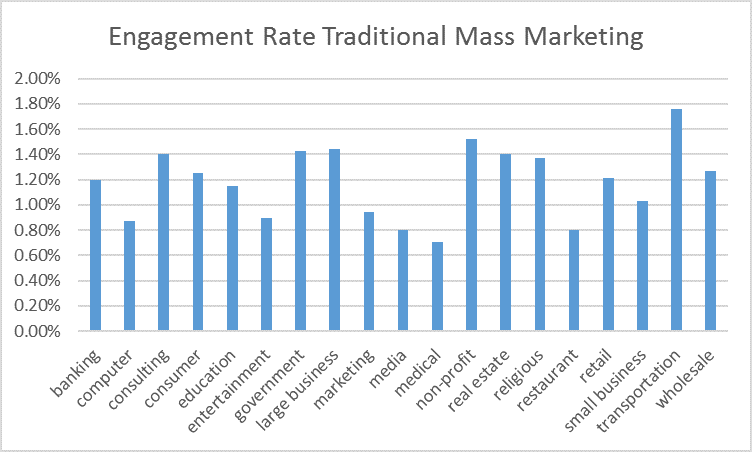 Autodialers with pre-recorded messages are slightly more expensive than mass email but so is the engagement rate at about 30 per 10,000 dials. With a bit of experimenting an autodialer campaign can demonstrate results up to .6%, or about 50 engagements per 10,000 calls. Use of autodialers is prohibited in many states and strict federal guidelines further restrict who you can call. You may call an established relationship up to 18 months after initial contact but if a consumer opts out or is on the DNC list you could be subject to a fine up to $40,654. Social Automation, available through only recent technology, is a substantial game changer in both engagement and brand impact bosting an over 15% response to post rate. 10,000 posts will generate over 1,500 engagements. Social engagement takes place in social venues eliminating any negative marketing effect associated with traditional marketing like email, autodialers, and text. The only guideline in a social forum is to be social. Preparation and content is typically the largest cost associated with most digital marketing campaigns. Creation of original content takes hours and without 3rd party software, which comes at a subscription cost, organization of campaign components such as collection of email addresses, management of PPC or AdWords campaigns, and simple campaign management tools take extensive human capital to create and manage. The amount you invest into these efforts greatly affect the quality and ROI of your campaign. The cost to distribute your digital content varies greatly and when assessed by actual results can be a game changer in the types of services you choose for your next campaign. Another risk is to your brands reputation. You might have noticed a lot of SPAM emails and pre-recorded calls come from individuals that are a 3rd party to the actual product/service. This degree of separation is strategic as they do not want to mention the brand behind the message until you become a qualified lead. This prevents brand damage from the over 60% negative impact associated with traditional marketing. At the end of each digital campaign it comes down to the amount of impact you had on your audience and is experienced as a combination of cost vs new business. Not all new business is good business if a campaign damaged your reputation during execution. A good campaign is one you can duplicate over and over while expecting the same, if not better, results based on your growing experience. When directly promoting your brand avoid risks and stay out of the murky waters of digital marketing. 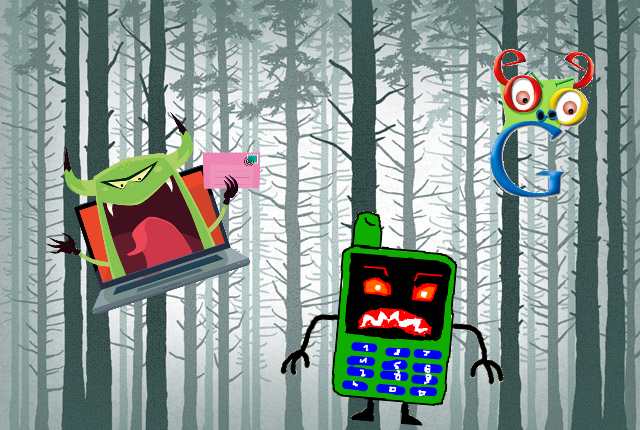 Mass email and autodialers are often associated with desperation and shady business. Social automation is a simple but elegant combination of social listening with intuitive conversation engagement and a very powerful tool in building long lasting relationships. While some are still buying random ad space and spending thousands on very limited audience influencer posts those utilizing social engagement campaigns are literally running away with all the leads. Why? They are engaging in relevant real-time conversations about specific topics that apply to their product or service. A email, random dialed phone call, PPC, or in page sponsored ad is typically never specific to anyone in general and often are outright ignored by any potential audience. Click here to learn more about Social Listening and intelligent conversation engagement. This entry was posted in Automated Information, Digital Strategy, Marketing Strategy, Social Media and tagged Autodialers, email, online marketing, SEO, social automation, social media. Bookmark the permalink.